Headshots, incredible kill cams? 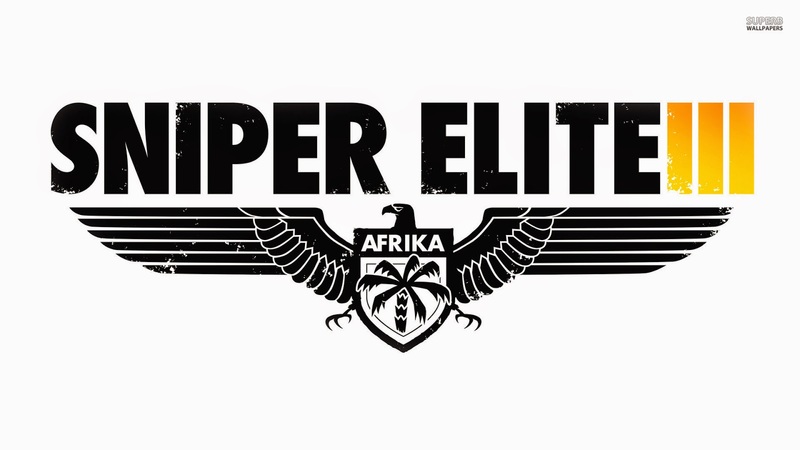 That’s exactly what you’ll be getting in 505 Games upcoming title Sniper Elite III and recently I was lucky enough to be invited to a secret location where I got to listen in on a detailed presentation by the developers and go hands on with the PlayStation 4 version of the game… oh those graphics, but what is it that really makes Sniper Elite III so awesome? To begin with we were given a rundown of all the new features of the upcoming game via a small presentation which went into detail regarding the campaign, multiplayer and what we would expect from the different platforms the game would be available on. Some of these features include a new A.I system, an overhauled engine and DX11 tessellation on PC, Xbox One and PlayStation 4. Scoping out the enemy and planning the next move. Now before getting into the game, I wasn't sure what to expect seeing as this is the first time I was going to play a title from the Sniper Elite series. Was I looking at a generic third person shooter which will have me going through waves of enemies without any explanation or hint as to why I was doing it? Or was there much more to it and was I going to be shown something that would make me see the genre in a completely new light. First off it’s refreshing to see that you do have a choice in how you approach a specific mission. While running and gunning is indeed the quickest and less time consuming option in this case, it’s not necessarily the smartest. You are given many options to proceed and I found this to be totally awesome. Before even engaging with anyone on the enemy side you can use the binoculars to mark soldiers in the area, so you’re not going round a corner and surprised to see one standing there. You literally get to see what part of the body your bullet impacts... awesome. One of the great things I noticed during the preview was how smart the A.I can be. Depending on what you do, you can cause a lot of noise and give away your location, if this is the case you better run and find somewhere else to hide. So why should you do this? Well for one the AI search the last location they heard the noise come from and sometimes when there are more than one of them, they will tactically try to surround you as well. The game calls this “Relocation” and helps to make things a lot more realistic. As mentioned earlier there is more than one way to complete a mission and one of those options just happens to be stealth. Depending on the weather conditions or even if you’re ducking behind some form of cover, this can greatly affect the A.I’s ability to spot you, however even they have a way around this. Now you’re enemy comes in ranks with you obviously taking out the standard soldiers at the beginning, however if there so happens to be someone of a higher rank among them, that person can boost the rest in terms of attack, defence and being more wary of their surroundings bringing a whole new challenge when approaching the enemy. 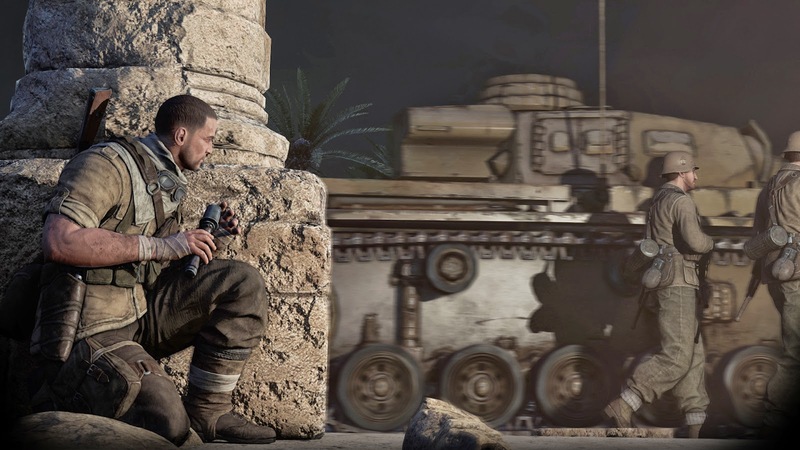 Sniper Elite III has turned my shooter disliking ways in to something that looks to challenge me both in its gameplay and intellectually. The kill cams are absolutely incredible with a few easter eggs in levels where you’re pretty much shooting someone who is a great distance away from you making for an awesome slow-mo. The environments are huge and the additional elements such as relocation make it tactically sound. I look forward to the game’s release and luckily there isn’t long to wait. 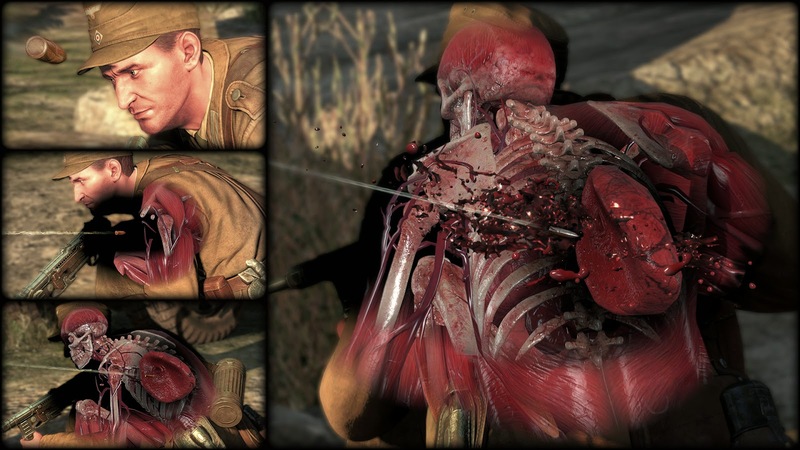 Sniper Elite III will be releasing for the PlayStation 4, Xbox One, PlayStation 3, Xbox 360 and Windows PC June 27th in Europe and July 1st for North America. but those sounds though...yuck! creepy!